"I believe base2Services was instrumental in the success of the project. In particular, their expertise and experience on the AWS platform, their proactive and dedicated people and their flexible service model contributed greatly to the success of the project." Open Universities Australia (OUA) is an online marketplace for higher education that provides students with access to universities from all over Australia. OUA was started by seven leading Australian-based universities and has become the destination for online higher education, currently offering courses from 12 different institutions. University partners benefit from OUA’s national digital sales and marketing channels, as well as a managed service for ongoing student enrolment and management. OUA changed their business strategy in 2016, from having multiple businesses supporting different levels of education, to a single platform strategy, solely focused on higher education. To achieve this, as a completely online-based entity, OUA needed to bring all their core IT services and systems to one streamlined platform, allowing the business to leverage new opportunities for growth, new potential markets, and to increase provider revenue streams. This digital transformation was by far the biggest and most important project OUA had undertaken since its inception. The transformation was business-critical and needed to be fully implemented in a very short timeframe and by an immovable delivery date, the 2018 academic enrolment deadline. In order to achieve their goal, OUA wanted to combine AWS and Salesforce in one fully functioning platform while replacing every system the business uses with newer, more agile systems. OUA had utilised some AWS services prior, however in the approach to the redesign, OUA decided to commit entirely to AWS, and use extensive automation and serverless technology to increase efficiency and cost effectiveness. OUA needed a technical partner with extensive experience on the AWS platform, DevOps and automation but also with the ability to manage different stakeholders of a big project in a collaborative and efficient way. As part of our DevOps as a Service model, base2Services (base2) contributed and collaborated with the OUA team right from the beginning. base2Services were responsible for creating the overarching infrastructure architecture, the complete CI/CD processes for all products, the integration architecture, as well as the deployment and management of that architecture. We also provided guidance to all responsible stakeholders in relation to deployment and scalability, as well as management and 24/7 support of the entire system as an ongoing service. base2’s team worked closely with the OUA team, and six technology partners throughout the redesign. We helped to identify key opportunities to innovate and fully utilise the AWS and automation potential, optimising from the previous landscape. base2Services implemented new tools, technologies and DevOps processes, whilst concurrently upskilling OUA’s internal team and that of the six other technology partners. Our DevOps as a Service model complemented OUA’s new business strategy, as in addition to covering all phases of the onboarding and implementation of the project, base2Services will also continue to provide ongoing engagement and improvements, as well as 24/7 support of the solution’s infrastructure and deployments. This incredible digital transformation completely transformed the way OUA does business, which as a result introduced some unique challenges that required a great deal of innovation. 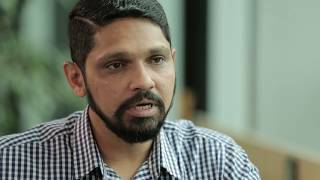 Srini Nori, Manager - Design, Development & Implementation, Open Universities Australia, discusses how partnering with base2Services helped them to combine AWS and Salesforce in one fully functioning platform while replacing every system the business uses with newer, more agile systems.